Oriental rugs make a great centerpiece for any living room. With intricate designs and vibrant colors, no two rugs are the same. However, many people are discouraged when they find out they take a little extra work to maintain than other types of rugs. 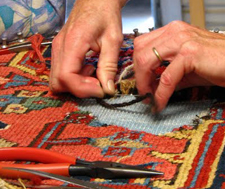 Although they certainly require a little more attention to detail when it comes to cleaning, repairing, and maintaining them, most people who own oriental rugs find that it’s well worth the extra work. 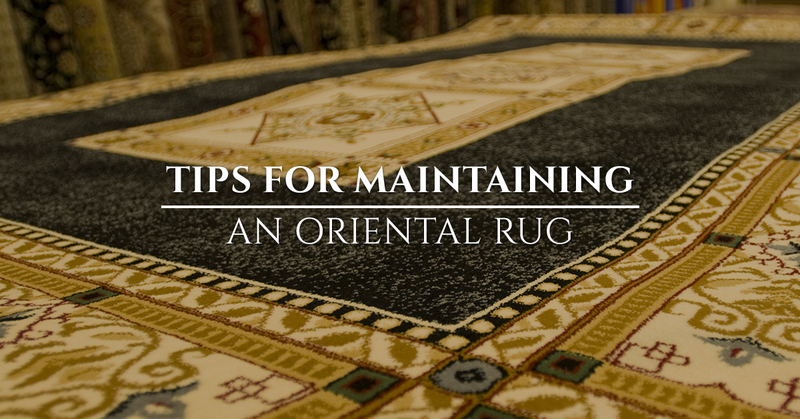 In this blog, we’re going to take a look at a few tips for maintaining your oriental rugs. If you go to the store and buy a cheap rug, chances are it has a soft, rubbery material on the bottom to keep it in place on the floor. Oriental rugs do not have this, so if you’re going to be placing your oriental rug on a hardwood floor, you’re going to need a rug mat. These are cheap, but the role they place is very important especially if your rug sees a lot of foot traffic. First and foremost, a rug mat prevents your oriental rug from slipping. Over time, this can result in stretching and eventually tearing of the material. An oriental rug without a pad underneath can also slip around a lot which can be very dangerous. Although a little sunlight won’t hurt your oriental rug, you’ll want to avoid constant and direct sunlight on your oriental rug. Over time, this will cause the colors to fade. If the sunlight is only hitting a small area, you’ll start to see an uneven look that isn’t exactly aesthetically pleasing. At Fred Remmers, we restore sun damaged rugs like this and bring back the vibrant colors it once had. Unlike a cheap store-bought rug, oriental rugs should be flipped every couple months. 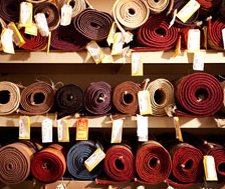 Over time, fabric may become more tightly packed towards the corner of your rug due to repeated foot traffic. When you flip and rotate your rug, it will keep the wear even and it will last longer as a result. 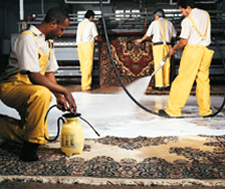 Although you should be getting your rug professionally cleaned every year, you should still plan on vacuuming often. Even though you may not be able to see any physical signs of dirt on your rug, it’s there! Just a quick once over with the vacuum a couple times a week will help preserve your rug’s appearance. Never use bleach, soap, or other household cleaning products to clean your rug. 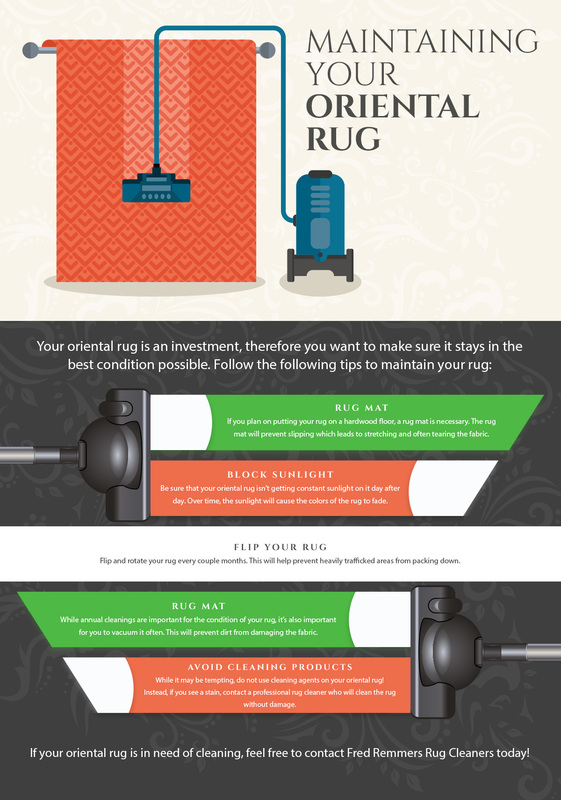 All rugs are made differently, so it’s only natural that different rugs will need to be cleaned in different ways. If you spill something on your rug, immediately use a dry paper towel to remove as much as possible. If it doesn’t come off fully, don’t use any cleaning agent. Instead, speak with a professional rug cleaner who can tell you the best way to remove the stain without damaging the rug. 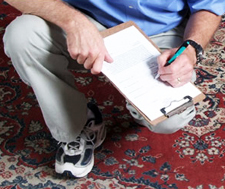 The most important part of maintaining an oriental rug is knowing who to call when you need professional rug cleaning. 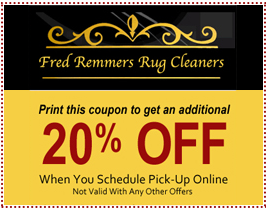 At Fred Remmers, we take care to analyze and understand how your rug was built so that we can employ the best cleaning solutions for your rug. No matter the age or the condition of your oriental rug, we can help. Since 1881, Fred Remmers Rug Cleaners has served its home town of Memphis with superior oriental rug appraisal, cleaning, repairs, and storage. If you have any questions about our services, give us a call today.